Laura Walker of Veronica Buttons designs and makes couture ceramic buttons that are heavily influenced by vintage textiles, embroidery and the idea of expanding on the limitations and preconceptions placed on buttons as utilitarian items. Laura sat down recently to share a bit of herself with us. I always did art and design, I've always made stuff. I then went onto study Textile crafts at university and specialised in Embroidery. I always had a problem confining myself to one medium and one process so embroidery appealed to me as it was so wide. I could use anything from rusty wire to fine silks. I began to make ceramic buttons because I couldn't find what I wanted for my work, I try my best to 'mash' together the idea of ceramic buttons and embroidery as much as I can, the idea of stitching through ceramic excites me. The post office....they keep closing them down. It was either an artist or a ballet dancer, I did ballet until I was 13 but I injured my foot and stopped dancing. Everyone always said I'd be an artist. I'm no fortune teller (my great grandmother was) but I hope to continue creating and and expanding, I love this job! 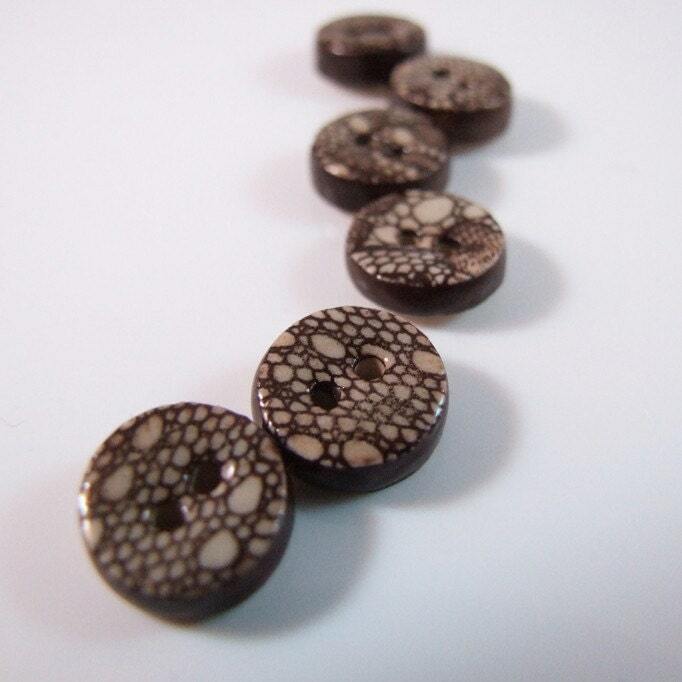 At the moment I am working on expanding my lines of button pendants to join my brooches and possibly earrings. I exhibit at trade shows in London and I'm wanting to exhibit at trade shows abroad, I love traveling. Visit Laura at her shop Veronica Buttons or go take a look at her creations on Flickr.